What to do with a roll of left-over polenta? Try mini polenta toasts! 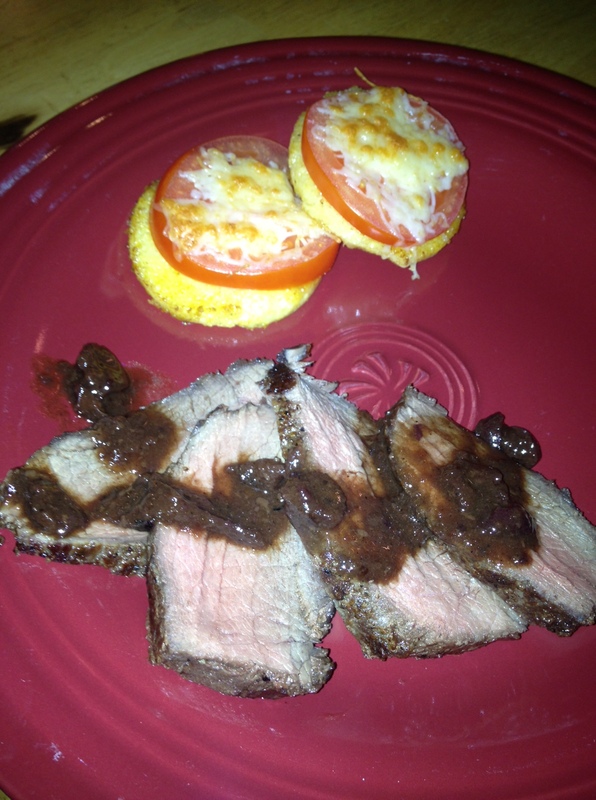 Great as a side to any dish, we paired it with venison and a small salad. Slice rounds of polenta and place on a baking sheet (lightly oiled or lined with parchment paper). 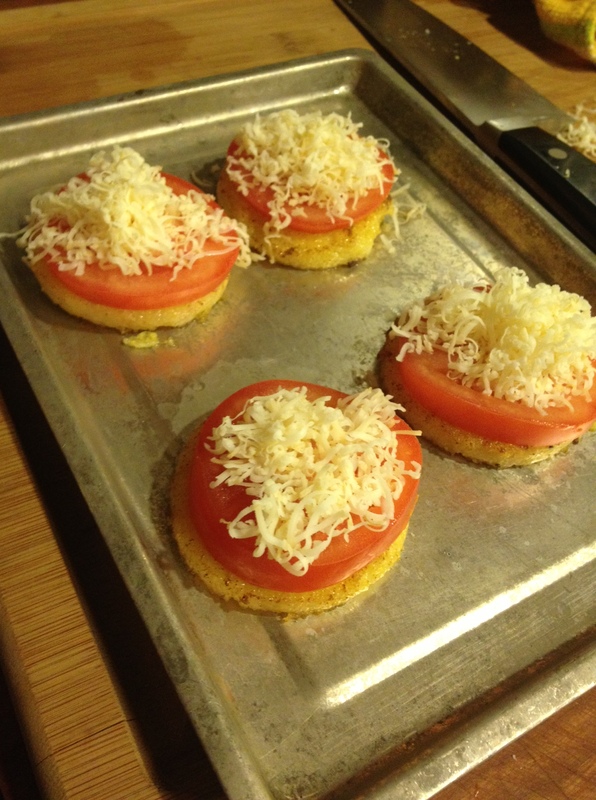 Top with sliced tomato and shredded cheese. Toast for 5 minutes at 425F or until the cheese is golden brown. Serve while hot! Add your own flare with pizza sauce, olives or other creative toppings! Whether your venison is wild and locally caught or farmed, cooking is the key to getting excellent flavor and avoiding that “gamey” flavor people are leery of. The gamey flavor sets in when wild meats are over-cooked, which is easy to do since they are so lean! For a venison steak of a pound or less, grill in a skillet on both sides for 4-5 minutes over medium heat with a bit of olive oil and butter (less than 1 Tb of each). Slice the venison and serve with your favorite sauce– such as a chutney. Here, we served it with our own maple cranberry sauce. Delish! This entry was posted in Real Foods, Recipes, Vermont products, wild food and tagged cranberry, polenta, polenta pizza, venison, Vermont on February 10, 2014 by gfvermont.